The Visual Science Lab / Kirk Tuck: Today I want to talk once more about fast 50mm lenses. Because I love them. Today I want to talk once more about fast 50mm lenses. Because I love them. Ten foot high painted self portrait by Chuck Close. Anyway, there are a good things about all good 50mm lenses that bear telling or repeating. First, they are generally really good optics that render sharp, contrasty images onto camera sensors. If you are used to horsing around with kit zooms you'll find the difference between a very sharp f2 aperture on a 50mm and a so-so "just good enough" aperture of 3.5 to 5.6 on the zoom. While shooting yesterday in the Blanton Museum I watched the little exposure graph in the camera and realized that a lot of what I shot was snugged in a f2.5 and the shutter speeds were in the range of 1/60th of a second. Even so the images were sharp. Especially in the middle of the frame where it counts for me. If I used a kit zoom I might need f5.6 to get the same kind of quality performance and that would kick the shutter speed down into the handholding danger zone or rocket the ISO up in the negatively charged stratosphere, adding noise and sucking out dynamic range from my work. With a good 50mm 1.4 you get, not just speed, but speed with quality. If you fill the frame with a subject and you're shooting with a fast 50mm it's easy to use wide apertures to drop stuff in the background out of focus. Really out of focus. And that can be cool too. Because with a good lens the stuff in focus isn't just "in focus" but it's truly sharp. Finally, I actually consider the 50mm focal length and the 85mm focal length, on full frame cameras to be just about a perfect angle of view. 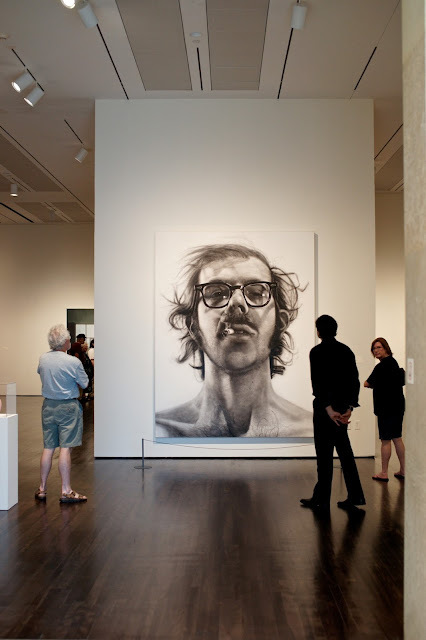 The wide lenses have angles of view that seem gratuitous to me, almost garish in their frantic desire at inclusion... While the longer lenses, especially above 200mm seem claustrophobic. My eye settles down nicely when we're right in the middle. My favorite shots lately are coming from the Sigma 50mm 1.4. It came onto the market with some issues like front and back focusing with some cameras. It also came with a price tag of around $500. The price recently dropped by $100 and the lens I got seems to have all the kinks engineered out. I'd buy it again in a heartbeat. Link for 25% off my Craftsy.com class on Studio Portrait Lighting. As soon as I saw the title of the article, I thought of Sigma. That Leica is not the lens you're looking for. You may move on. I take it the woman frame right is turning around to see what that loud ker-thunnkk was when you tripped the shutter on the Sony a850 for first time. Kirk, there is the V1 with the 18.5mm f/1.8 (50mm equivalent) which as you know is totally silent, no mirror thwacks or shutter noise at all. The 18.5mm is a brilliant little lens, have you tried it? And just on the market these days, there is also the 32mm f/1.2 (85mm equivalent) with gorgeous bokeh and exceptional low light capabilities. Anonymous has never used a 5D3. Silent shutter is awesome. As quiet as an M6. Amen to fast 50's. Love them too. In my case the first generation Minolta AF and the 1970's Minolta Rokkor. It's like putting on your favourite sweater. Or having a glass of cold fresh water. A feeling of relief. New Zeiss ZF.2/ZE (etc) 55/1.4 is very close to new 50/2 AA. At least thats what Erwin Puts says. Pics seem to say same, except obvious difference in rendering. It might seem like "not important" for Sony users. But, ZF.2 versions need just Leitax and screwdriver and you can use them on any Sony. No its not Leica, but its very close. Other options are Leica R and Leitax (or some knockoffs from Fotodiox, if they make it for Sony too). Since I prefer sometimes character over perfection, Leica R 50/2 ver. I is something I would like on any FF camera. And its cheap. +1 on the dream new Summicron ... unfortunately, a bit too pricey - and it should really be mounted on a Monochrom and be done with it... well, one can dream. 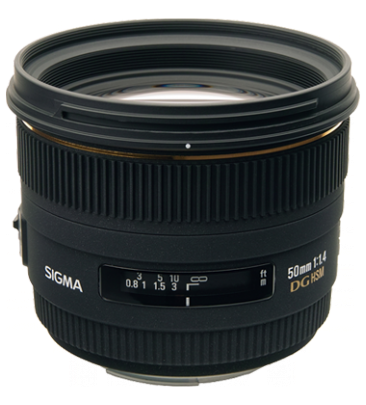 I had the Sigma a while back when i was still dabbling with DSLRs and found it excellent, with hard to beat value for money - actually, i will rephrase that, impossible to beat value for money. my favorite 50 now is a Zeiss Planar 1.7/50, mounted on my XE1 with a Speed Booster, so it remains a 50mm AND gains one stop. REALLY nice. the other one i am thoroughly enjoying is a very old Jupiter 8 (the Soviet Ziess 2/50), which is almost bolted onto my CL, superb character. I've had my Sigma for 2.5 years now or something like that, using it mostly on my 5D II and to a lesser extent my EOS 3 for film. I've had a bunch of 50s, and the Sigma is probably the best overall. I like it better than the Summilux I had when I had my brief Leica phase. I also like it better than the old Nikkor S•C that was my gold standard for a long time because of the look I got with it that I adored so much. Hell, I even like it better than the 50mm f/1.2 AI-S I had for a while. For me, it is the superlative among superlatives. Perfect? Of course not. But damn is it good. 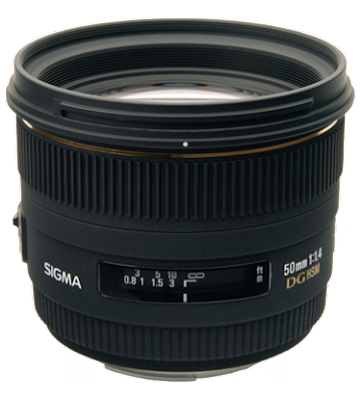 The new Sigma f1.8 standard zoom for crop sensors is an interesting take on the wide normal lens.